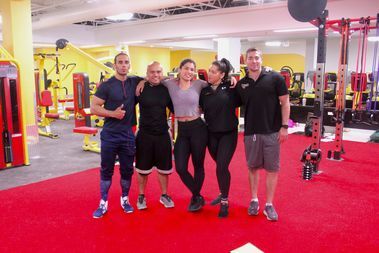 The gym, 4901 W. Irving Park Road, celebrated its "soft opening" Thursday. Klein's Bakery and Cafe, 4155 N. Broadway, opened on May 28. Tsadakeeyah Emmanuel is the latest vegetarian chef to choose South Shore. The Southport Avenue storefront has a long past with a few dark chapters. The bar serves pizza, beer, cocktails and more at the former home of K&H Lounge, 3750 N. Central Ave. Located at 1709 W. Division St., Vinny D's is planning a grand opening celebration on Thursday. The longtime bakery said it planned to reopen in a bigger and new location. Beatrix's market will offer grab-and-go selections, including a salad, soup and a hot food bar. La Primera Food Liquor and Meats has been at 5012 N. Clark St. for 18½ years. At the helm are two college buddies who cut their teeth at Acadia and Publican Quality Meats. It's the first restaurant for chef Joe Frillman, who has cooked everywhere from Balena to The Bristol. The two restaurants join Au Cheval, Grange Hall Burger Bar and Umami Burger in the neighborhood. Fans of the game store are encouraged to visit the newer West Loop location, which will expand hours. A large hot dog man who is squirting mustard over his head was installed above 2016 W. Division St.